Now Christie is busy answering questions about blocked traffic, misdirected Sandy aid and political misdeeds. Walker’s facing national and state scrutiny of secret e-mails and illegal campaign operations so intense that even Fox News Sunday’s Chris Wallace interrupted him to say, “But sir, you’re not answering my question.” And Kasich is scrambling to deal with a “Frackgate” controversy touched off by the exposure of a public-relations scheme—apparently developed by his administration, Halliburton and oil and gas industry lobbyists—to “proactively open state park and forest land” for fracking. The scandals surrounding these prominent Republican governors, some of them potential presidential contenders, are serious. And they raise the question: Could there really be a governor who is more controversial? And whose actions might be even more troubling? The first-term governor packed his administration with lobbyists and used his office to promote their environmental-deregulation agenda, and allegedly went so far as to fire a state employee who testified in favor of policies the administration opposed. Gov. LePage also attempted to gut his state’s open records act, and is under investigation by the federal government for trying to bully employees of the state Department of Labor into deciding more cases in favor of business. 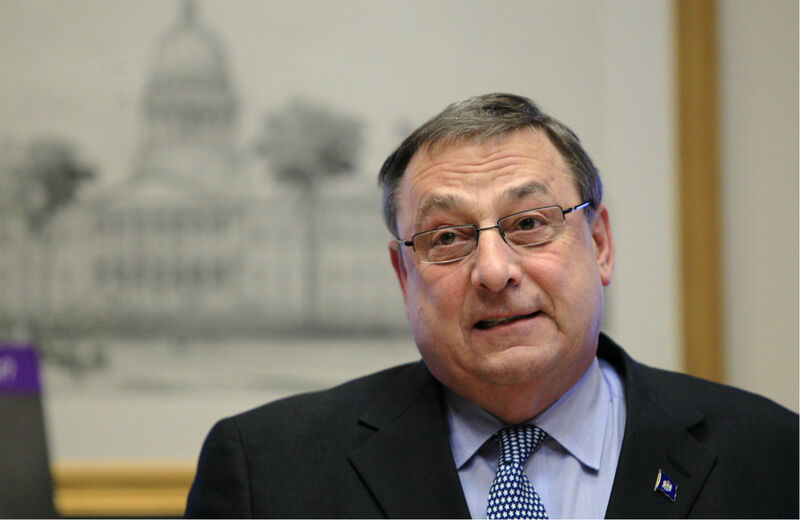 Now, the federal investigation has been completed, and LePage is still very much in the “worst governor” competition. A report from the US Department of Labor Office of the Solicitor General concluded that LePage and his appointees meddled with the process by which unemployment claims are reviewed—apparently with an eye toward advantaging employers and disadvantaging the jobless. Bombastic as ever, LePage on Saturday responded to the impeachment talk by declaring "if (Jackson) has cause, bring it on." The "It's Time for Paul LePage to Resign" petition circulated by state Representative Diane Russell, a Portland Democrat, had attracted almost 20,000 signatures by Friday afternoon. An April 11 Sun Journal investigation cited sources who said the governor had summoned DOL employees to a mandatory luncheon at the Blaine House on March 21 and scolded them for finding too many unemployment-benefit appeals cases in favor of workers. They were told they were doing their jobs poorly, sources said. Afterward, they told the Sun Journal they felt abused, harassed and bullied by the governor. LePage denied the charges and claimed his communications with the hearing officers were “cordial.” When the US Department of Labor investigation was launched—because hearing officers are paid with federal funds and must follow federal rules—the governor denied it was going on. But there is no denying now that LePage has been called out for creating what reasonable people would interpret as an unfair “bias” against the jobless in a state that has a significantly higher unemployment rate than its northern New England neighbors New Hampshire and Vermont. Providing a fair process for reviewing unemployment claims helps to address that uncertainty. Infusing bias into the process is not just wrong, it’s cruel. And that cruelty—as much as any political abuse or ethical excess—provides a vital measure for assessing the worst of the worst governors.